Effective April 1, 2016, Family Connections Montana is the Child Care Resource and Referral agency serving 23 counties, including Blaine, Hill, and Liberty Counties, in Central and Northeastern Montana. Services provided by Family Connections Montana include Best Beginnings Child Care Scholarships, Child Care Referrals, and Child Care Provider Professional Development. Offices are located in Great Falls and Havre. The Great Falls office is located at 202 2nd Avenue South, Suite 201. The Havre office is located at 2229 5th Avenue. Please let Family Connections Montana know how they can best serve you or if you have any questions. Family Connections MT can be reached at 1-800-696-4503 or 761-6010. The Havre office can be reached at 265-6743 extension 1110. 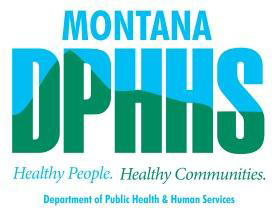 This project is funded (in part) under a contract with the Montana Department of Public Health and Human Services. The statements herein do not necessarily reflect the opinion of the Department.